Carlsberg Bulgaria’s Pirinsko Beer brand derives its name from the Pirin Mountain in Bulgaria. The beer is made only with fresh mountain water. This print ad lays out the mountain water, hops and barley in a topographic map, outlined with tradition, technology, quality and taste. 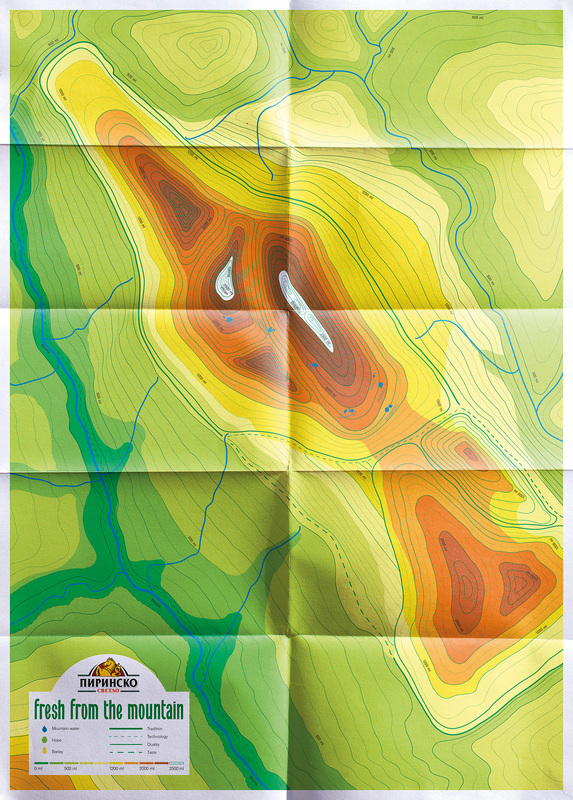 The Pirinsko Topography ad was developed at Noble Graphics, Sofia, by creative director Maria Milusheva, art director Irina Tomova, illustrator Kristina Kostova and designer Kristina Kostova.